Schenk Smith treated me like a family member. They fought hard for me and I highly recommend them! Not only am I a practicing attorney, but I have personally used the services of Schenk Smith for a case. Will Smith kept me informed of the status of my case and strongly advocated on my behalf, achieving an excellent result. Will is an excellent attorney and extremely gifted in handling nursing home abuse and neglect cases. I know that when I refer him a case, he will treat the clients and their families with dignity and respect during this challenging time. Will and his law partner get great results for their clients too! Rob helped me through a very difficult time by writing an extended settlement agreement with my ex, with whom I shared property but had never married. The separation was contentious and drawn out, but Rob was firm and helpful and I always felt I had his full attention and concern. Almost 3 years later and the agreement is finally completed. Rob was as helfpul at the end as he was in the beginning. Aside from his professionalism, he brings a great wit and humor to challenging situations. Thank you Rob! Will and Rob are two of the best lawyers i thank God for all the hard work and hours of work they put in for my case. I always talk with them onces or twice a week i would recommend them you want be disappointed. Great experience! I would highly recommend Rob and Will! I have already recommended several people. They are very personable, easy to work with, extremely thorough and most importantly, successful! Rob Schenk is a fantastic attorney. He aggressively represents his clients and was very thorough in advocating our behalf. We highly recommend him. This firm gives you the best personal service around, which allows you to concentrate on taking care of yourself with less stress. I would highly recommend them to people I care about. Hands down the best law firm I've ever had the pleasure of working with. The Schenk Smith team is nothing short of amazing. Lawyers that really care for their clients well being. The whole process was a breeze. Its wonderful to be able to call and talk to the actual members of the team that is assigned to your case, as well as the lawyer that will be handling it. Rob Schenk was my lawyer and is a true professional. Their main concern is getting you, back to you! I highly recommend getting Rob to be your lawyer. He won the full amount possible for me, even in an almost impossible situation, and all settled out of court. I have referred and will continue to refer clients to Will and Rob. They are great people and lawyers. If you are fortunate enough to be represented by them, you are in great hands. I highly recommend Schenk Smith! Schenk Smith treat their clients with compassion, respect, and the utmost professionalism. Schenk Smith is the real deal. Will Smith is a great attorney who I respect and trust. I recommend this law firm. Will and Rob are highly skilled, knowledgeable, and professional. I highly recommend the services Schenk Smith has to offer. When my husband and I were faced with legal troubles, we hired Robert Schenk of Schenk Smith LLC to represent us. Robert was very knowledgeable and helped us understand our position, our rights and our options. I was completely satisfied with the results Robert got for us, and I would highly recommend him and his firm to anyone experiencing legal problems. I would not hesitate to use his services again. Our company could not ask for a better group of legal advisers. Not only have they been 5-Star in handling our business contracts and other legal needs outside the courtroom, but they are also smart and agile litigators that know their way around the inside of the court room as well. 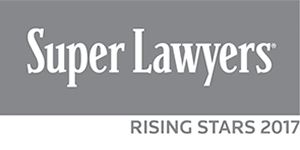 Thanks Team Schenk Smith…you are ROCKSTAR LEGAL EAGLES!! If any of my clients have been injured in an accident, Rob Schenk and Will Smith are at the top of my referral list. They are dedicated, caring, aggressive, and creative. I urge you to give these guys a shot. The attorneys at Schenk Smith are some of the finest lawyers I've had the pleasure to work alongside. 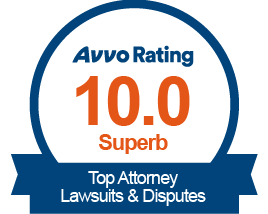 They are true professionals, who are very knowledgeable and experienced litigators. I highly recommend consulting them for your legal needs. Working with Will Smith was a great experience! I hired Rob Schenk of Schenk Smith to help us. He clearly explained our options and moved quickly when we decided on a course of action. I was very happy with the results and I would recommend Robert for any legal problems. I would not hesitate to use his services again. I have dealt with Will Smith as an opposing counsel. He is both zealous in the representation of his clients and incredibly professional in his dealings with opposing counsel and the court. I highly recommend Schenk Smith LLC! The guys at Schenk Smith are Top notch! We've used their services many times in the past for our company and I highly recommend them. They understand our business practice and understand how the legal system can protect our best interests! Schenk Smith LLC is a professional and highly recommended law firm. Stellar guys - very friendly and knowledgeable. Great service. I highly recommend the Schenk Smith law firm! Top notch team!